Life, Food, Pain and Happiness! Peel and chop the eggplant, lightly fry in a pan, add all other ingredients and let them cook for 30 minutes, then mash them all together simply using a fork. 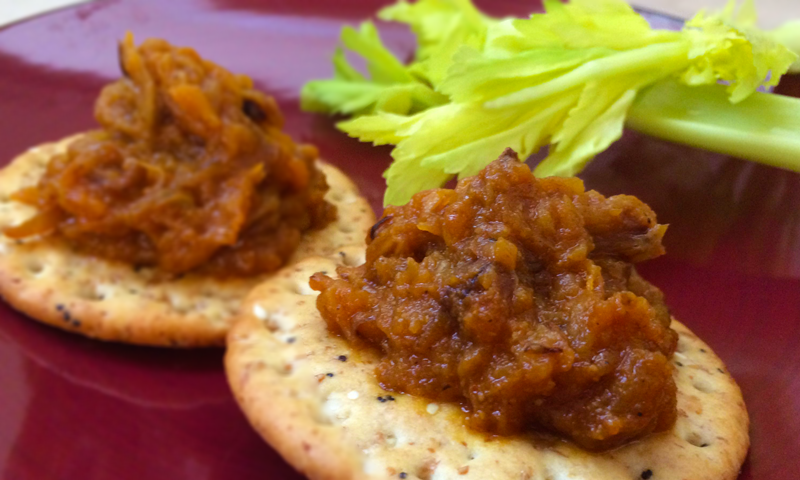 On the top of a tasty cracker, it makes a wonderful snack, appetizer or even light dinner. This entry was posted in Food, Gluten Free, Health, Life, Recipes, Starters & Small Plates, Uncategorized and tagged Appetizers, Comfort Food, Easy Recipe, Eggplant, Food, Snacks, Spices, Veggie. Bookmark the permalink. You can earn some additional money from your website, i see couple opportunities here.